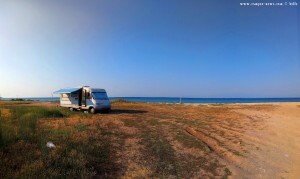 The Bach is with Sand – in the Water are little Stones for one Meter, after Sand. 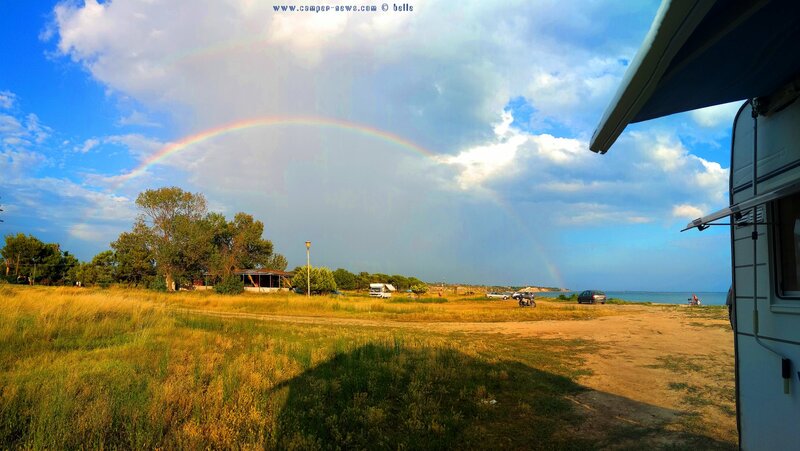 Showers and Water on the Beach. This Articel was read 302 times! 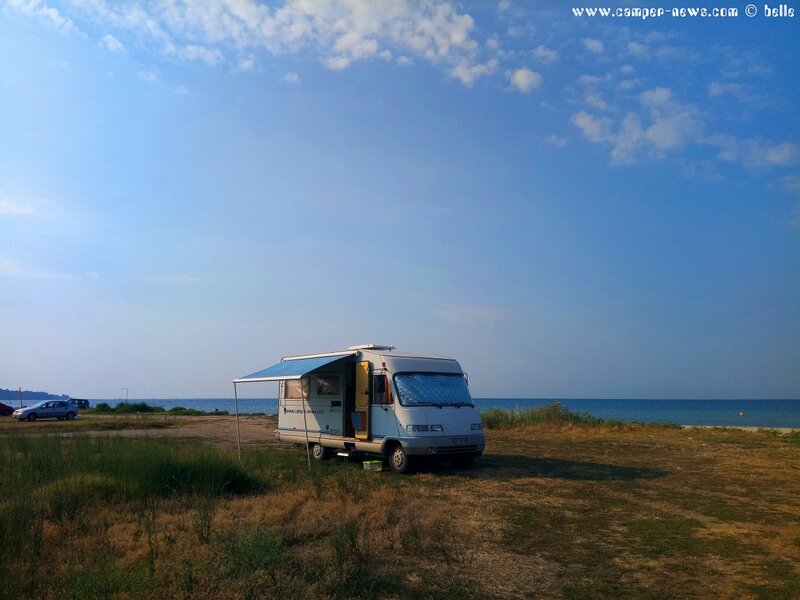 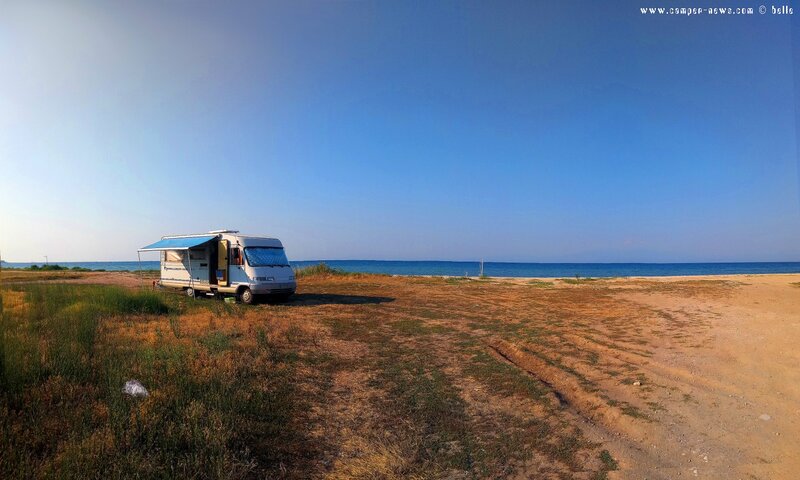 Dieser Beitrag wurde in Countries, Free Camping - Wild Camping, Fresh Water, GPS, Greece, Travel-Facts veröffentlicht und mit Beach with Sand, Camper-Shop Zampétas in Thermi, CampingCar, Centralmacedonia, Coast, Epanomis, Free-Camping, Freistehen mit dem Wohnmobil in Griechenland, Fresh Water, Grecia, Greece, Griechenland, Ikismos Lefkes, Küste, Mediterranean Coast, Meer, Mittelmeer, Motorhome, Neas Michanionas, Néoi Epivátes, Regenbogen in Ikismos Lefkes – Greece, Reise, Reisebericht, Reiseberichte, Reiseblog, Reisen, Reisen im Wohnmobil, Reisen im Womo, Reisen in Spanien, Reisen in Spanien mit dem Wohnmobil, Reisen mit dem WoMo in Spanien, Salzwasser, Sand, Showers, Sonne, Strand, Thermaikos, Thessaloniki, Travel, Travel in Greece, Travel with a Camping Car, Travel with a CampingCar, Travel with the Camping Car in Greece, Travel with the CampingCar in Greece, Travel with the Motorhome, Travel with the MotorHome in Greece, Travelblog, Travelbook, Unser Camper, Vodafone-Shop in Perea, WC-Cassette, Wild-Camping getaggt.